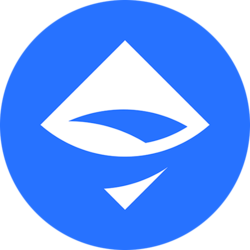 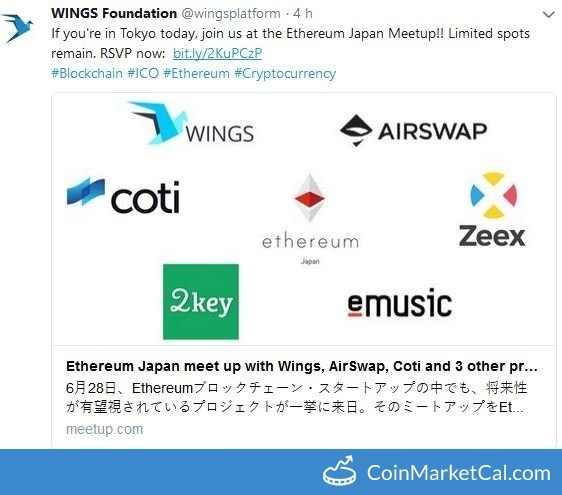 AirSwap is for peer-to-peer trading of ERC20 tokens on the Ethereum blockchain, through off-chain negotiation and on-chain settlement. 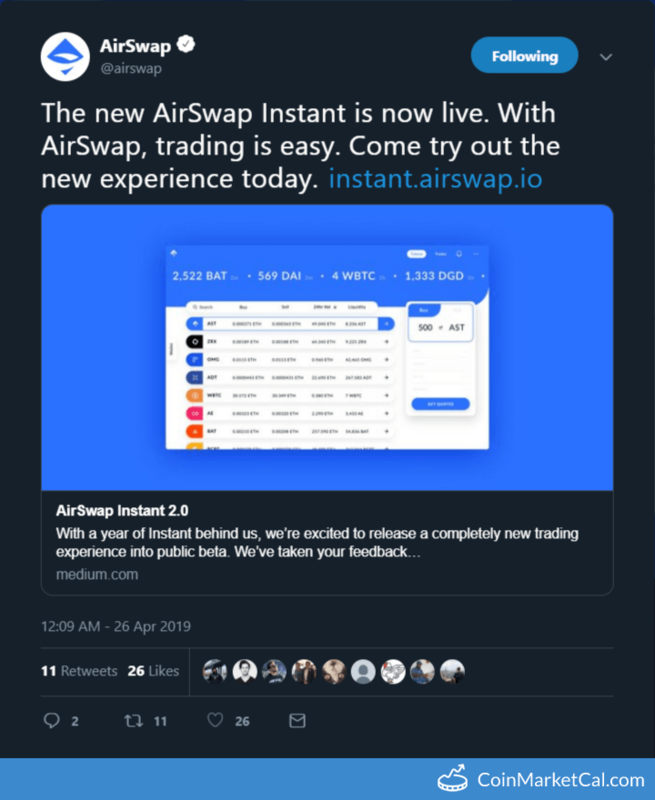 "The new AirSwap Instant is now live." 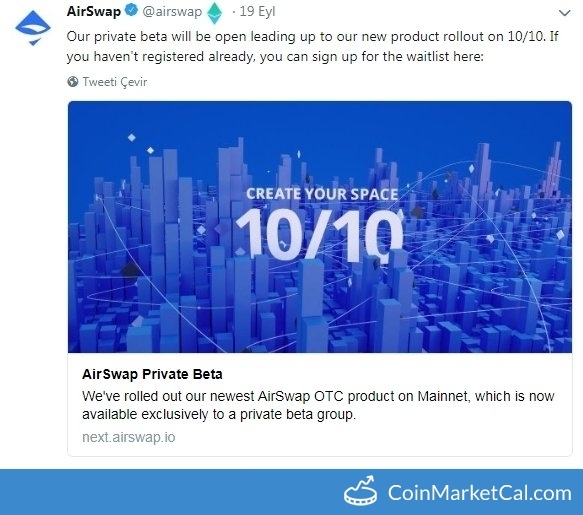 "Our private beta will be open leading up to our new product rollout on 10/10." 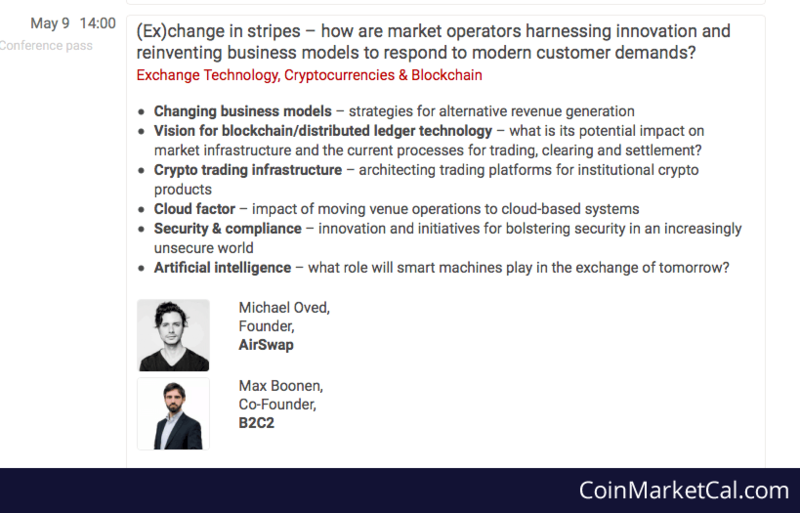 Airswap founder Michael Oved speaks at The Trading Show in Chicago. 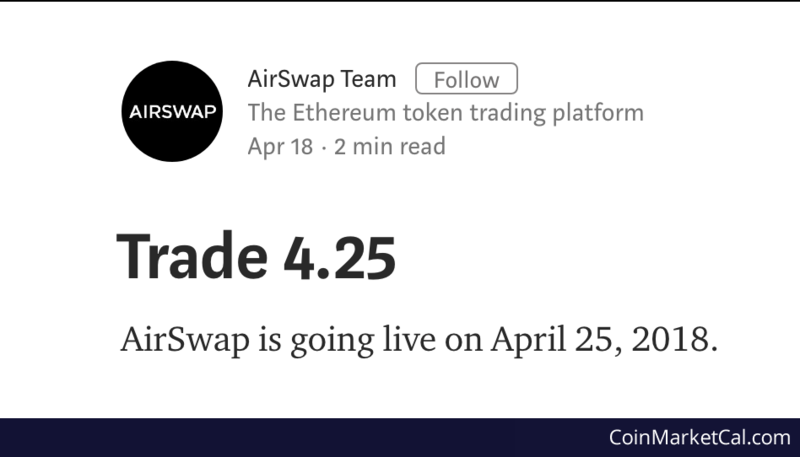 "AirSwap is going live on April 25, 2018." 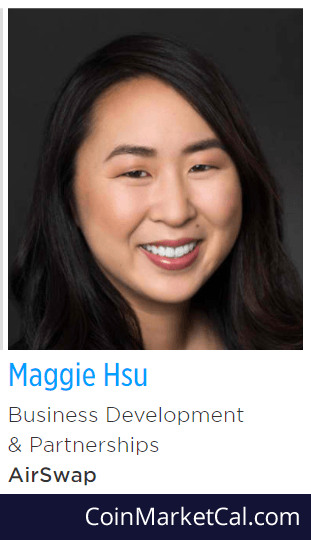 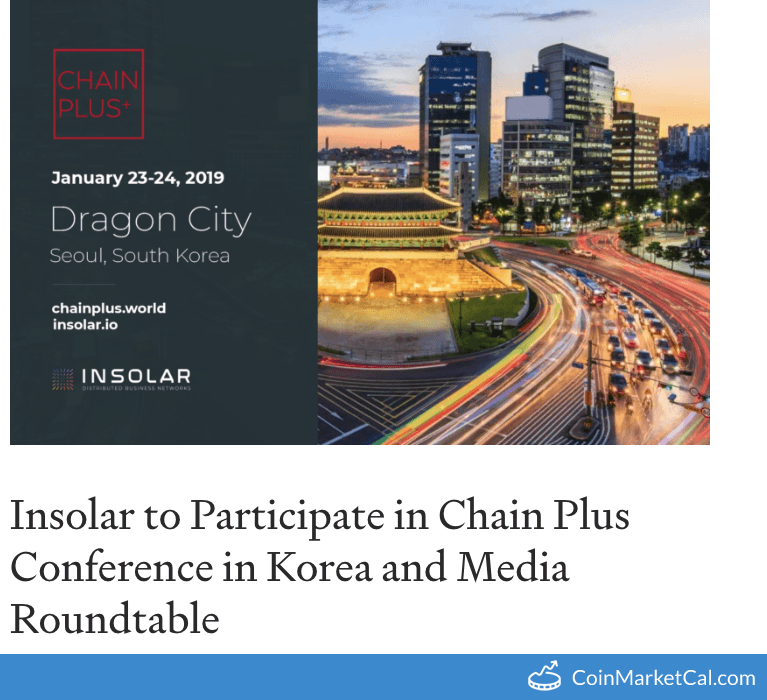 Maggie Hsu, head of Business Development and Partnerships for AirSwap, speaks at Blockfin.